Teams can be boys only, girls only, or co-ed. Individuals are welcome! Please contact us and you will be placed on a team with other kids of similar age and ability. Two categories: 12 & under, 10 & under. Minimum age is 6 years and maximum age is 12 as of first day of event: July-9-2015. Minimum 9 and maximum 12 games will be played over the 4-day period. 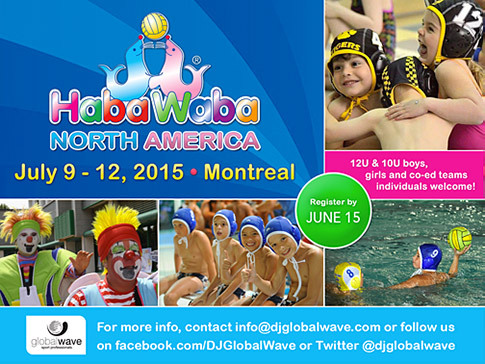 Haba Waba will host opening and closing ceremonies. Transportation to and from the airport (YUL) and the hotel. 3 meals per day. City/metro transportation.